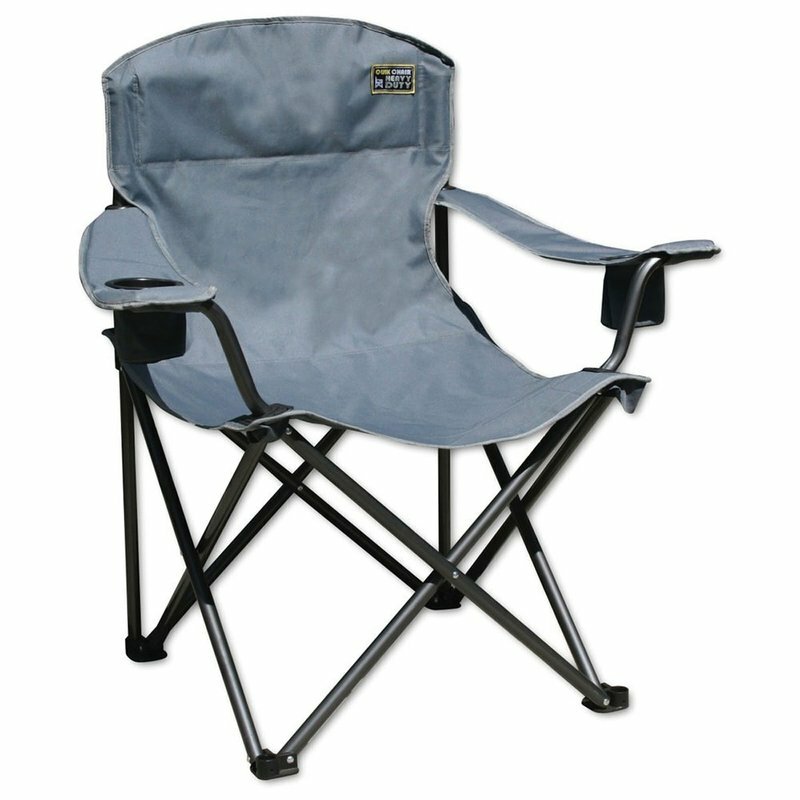 This heavy duty folding chair is designed for maximum comfort and durability. It has a wide oversized seat and large diameter steel tubing for extra strength. Folds compactly and fits in an included carry bag with strap. Sturdy steel frame constructions supports up to 500 lbs. Two layers of heavy duty 600D polyester fabric on seat and back.